I've gotten a little addicted to my chickens. 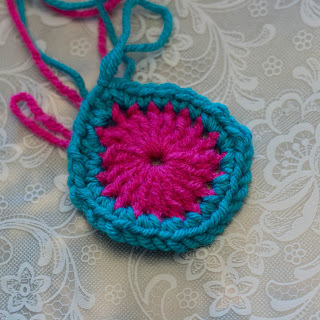 I've been incorporating them in many things-watercolors, pen and ink, crochet, knitting, sewing and even my mannerisms (much to my family's dismay!). 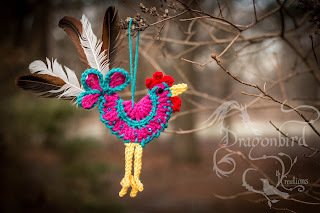 In celebration of the new chickens I will be getting in March I am offering this pattern for free! 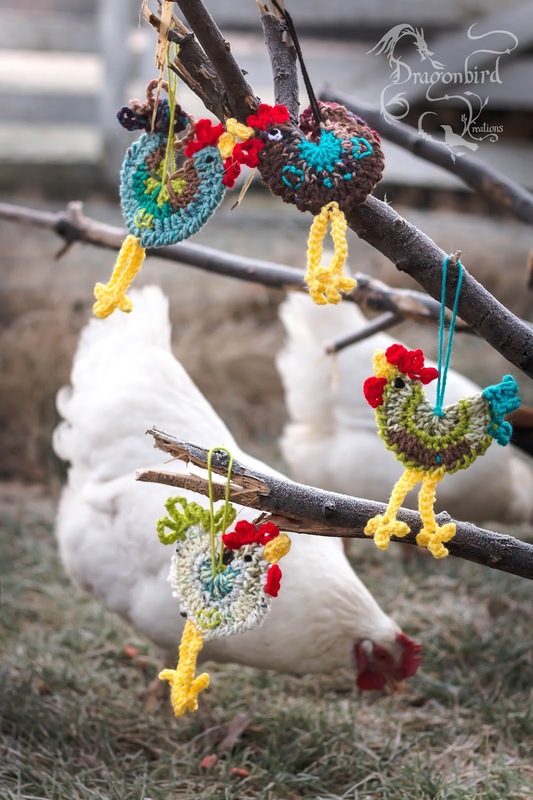 If you are like me and can't get enough chickens, you may want to check out my Rooster Hat Pattern on Ravelry-it's not a free pattern, but I try to keep the cost low so everyone can afford it. I use the money I earn to help pay for my children's extra curricular activities-it is my way of contributing monetarily to our family. I'll be having a contest that you will be able to participate in if you so desire, using this new pattern, on my Dragonbird Creations Facebook this is such a quick project, you should really consider entering-unless you don't like getting free patterns for prizes! ;) I'd really love for a lot of people to participate...because really...games are really only fun when people play!!! 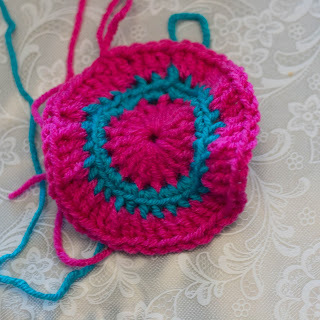 This pattern has not been tested (except for myself making many-so please let me know if you find any errors or confusing parts, I'll do my best to fix it up). 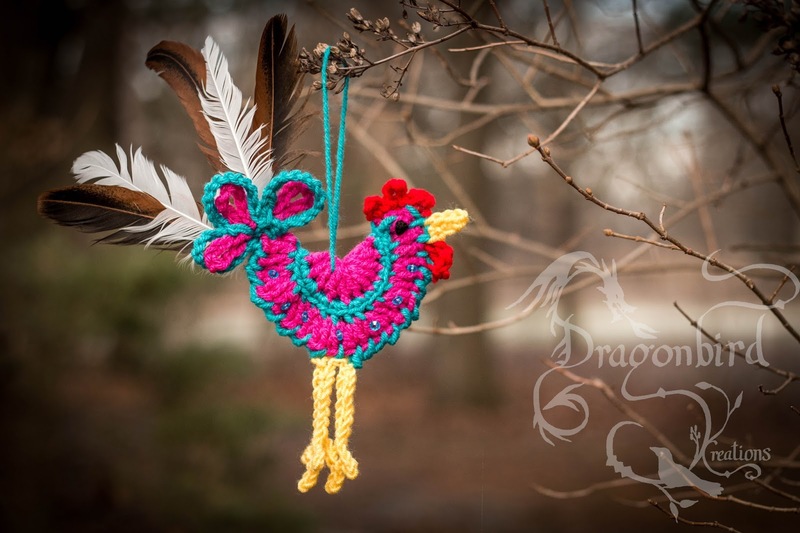 Gauge is not important-you can use any yarn or hooks for a different sized rooster. Feel free to switch up your colors every round or keep it the same every round. Here is how it looks using size 10 thread-LOVE! 4. 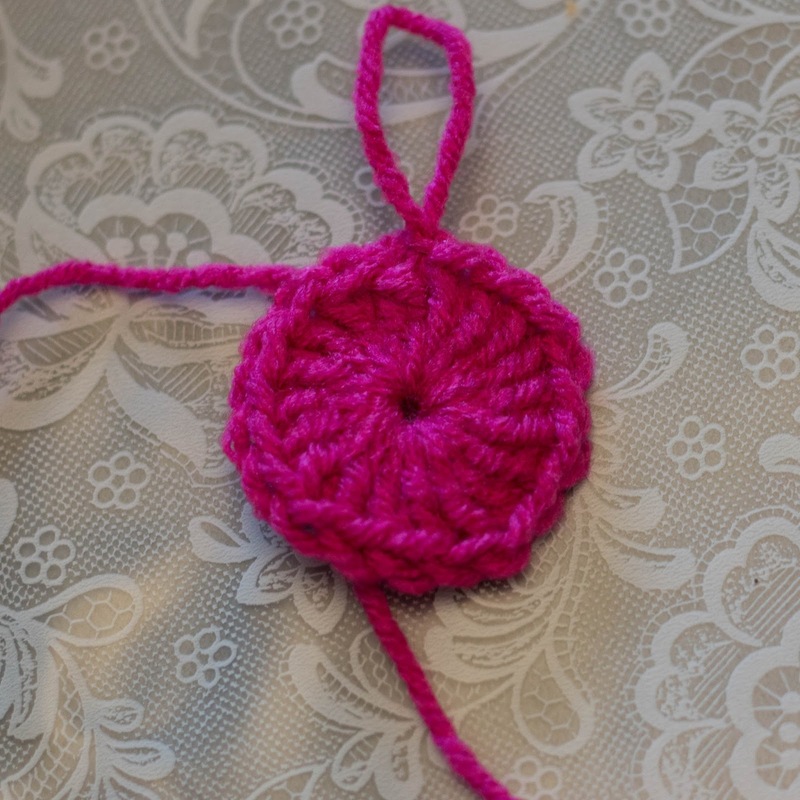 Fold your circle so that the wrong sides are together and your working loop is at the right side of the folded half circle. Rsc across the bottom edge of the body working through both layers of the body-this is how your rooster’s body will be closed. Finish off. 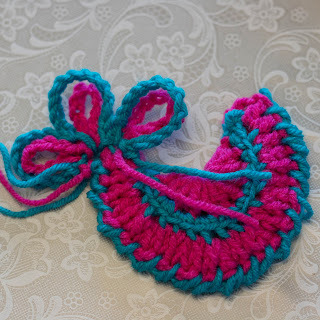 With contrasting color, join with sl st to the tip of the tail in first space as 1st tail feather, *chain 13, sl st in same space**, sl st in same st as next tail feather; repeat from *-**once more and finish off. Join with sl st to into the tip of the ‘head’, ch 4, sl st in same space, sl st in next space (going towards the top of the body not along the bottom), ch 5, sl st in same space, sl st in next space, ch 4, sl st in same space and finish off. 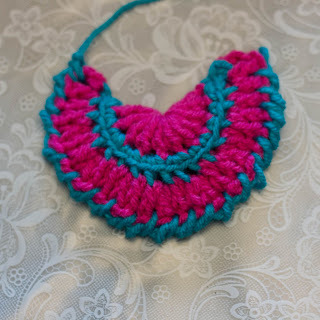 sl st in same stitch that you ended your wattle on, ch 4, sl st in 2nd ch from hook, sc in next 2 chains and sl st in the space that the comb began on; finish off. Weave in all ends and decorate as desired. 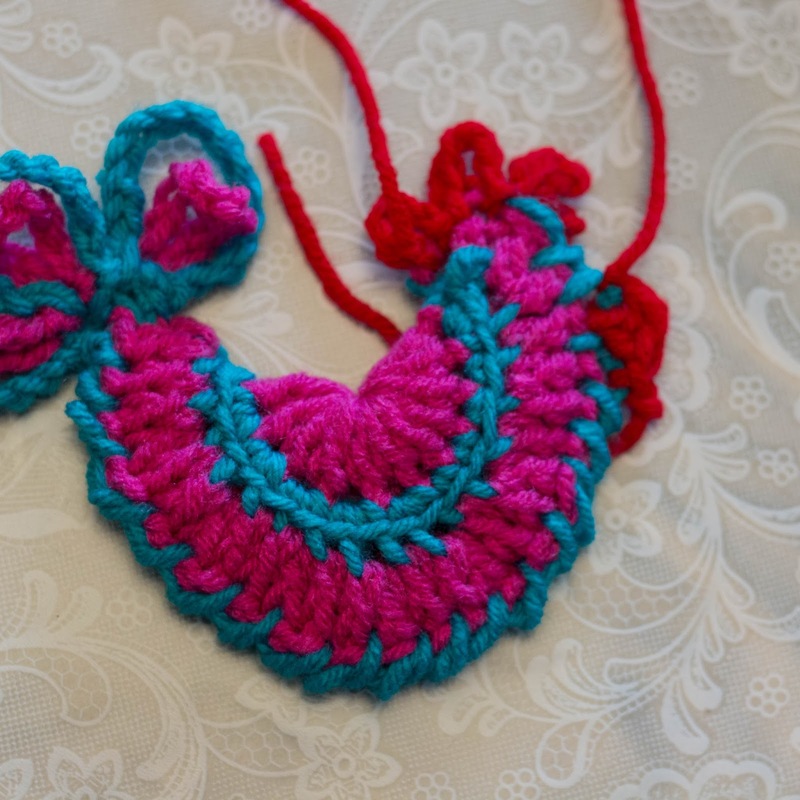 Be creative and use buttons, beads, feathers, sequins or whatever your heart desires! 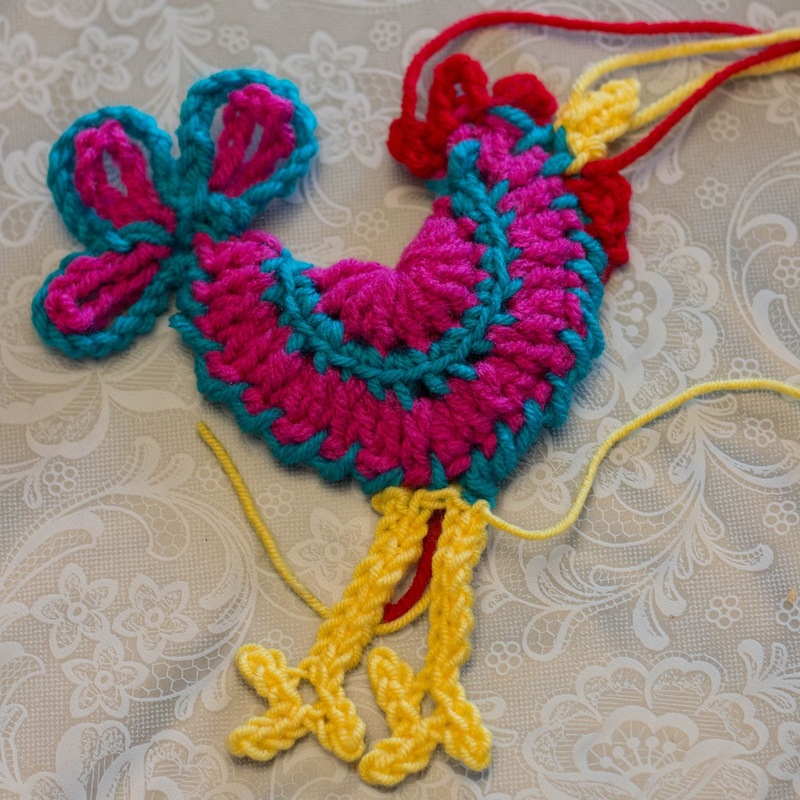 After your roo is all decorated you can then add your hanger by using a piece of yarn-you may have to adjust where you place the hanger based on how heavy certain parts of the roo is so that he hangs straight. 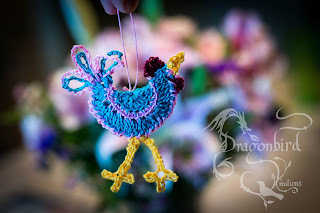 J I’d love to see your finished rooster-feel free to share it or tag DragonbirdCreations on facebook! These are fantastic. So cute! I have to make some. Thank you for the tutorial and sharing your talent! I'm so glad you like them! 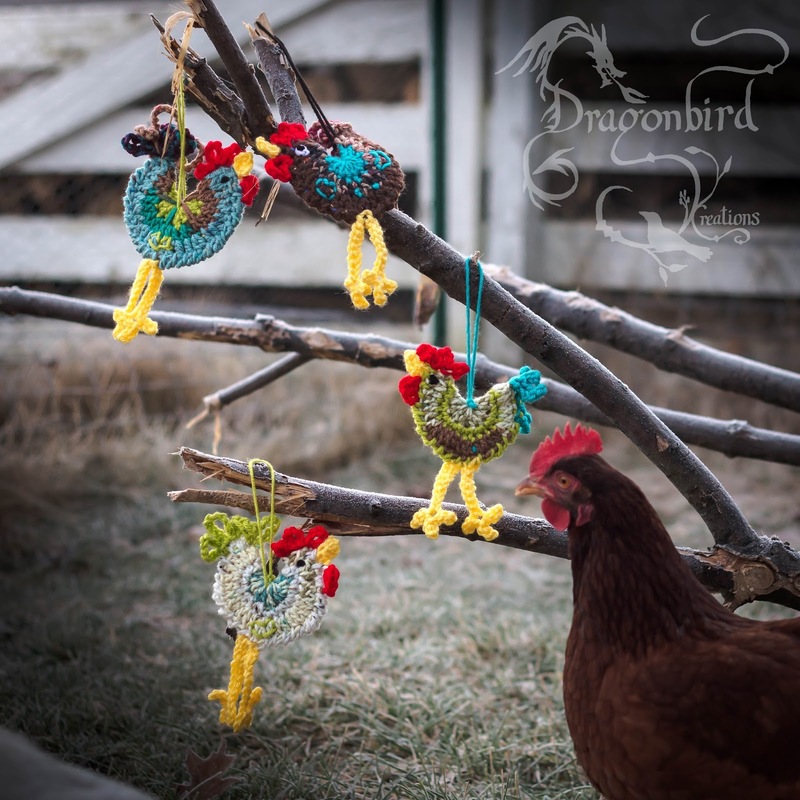 I'm a firm believer the world can always use more chickens! :) Happy crocheting!